At Casa Pacifica, we help kids and families to overcome some of life’s most difficult circumstances – trauma, complex emotional and behavioral issues, family crises. 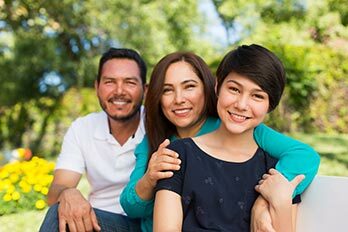 You can be sure that the people and programs at Casa Pacifica meet or exceed the standards set forth by several different accreditation institutions. We provide a comprehensive and structured set of services that meet the varied and complex needs of children, youth and emerging adults in our care. See what a typical weekly Camino a Casa schedule looks like. Click to Meet the Camino a Casa staff! We know that choosing the right program can be challenging. 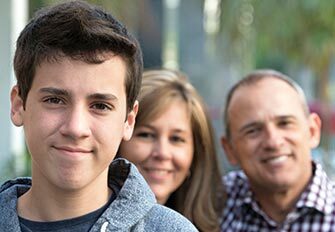 At Casa Pacifica, we follow a relationship-based approach to supporting and serving young people and families. We meet people where they are and, through the development of connected relationships, guide them in building on strengths and meeting their needs. Our programs use a range of research and evidence supported strategies according to the program focus and specific needs of the child, youth, or family. Our multidisciplinary team are highly qualified and licensed professionals that are psychologists, psychiatrists, LVNs, recreational therapists, music therapists, and youth development specialists. Use the form below to contact us for a free confidential conversation or call (805) 366-4000. Get to know the Casa Pacifica Camino a Casa staff. Nothing speaks louder about the success of the Camino a Casa program than comments and praise from patients, families and professionals. Here are just a handful of testimonials from people who wanted to share their outcomes. You’ve Decided. Now, Does Casa Pacifica Accept Your Insurance? You want the best for your child and for your family and that’s why you’re here inquiring about the Camino a Casa program. Because each insurance plan is different, Casa Pacifica works with both you and your insurance company to establish individual eligibility. The best thing to do is to contact us and we will help determine what the next steps should be.